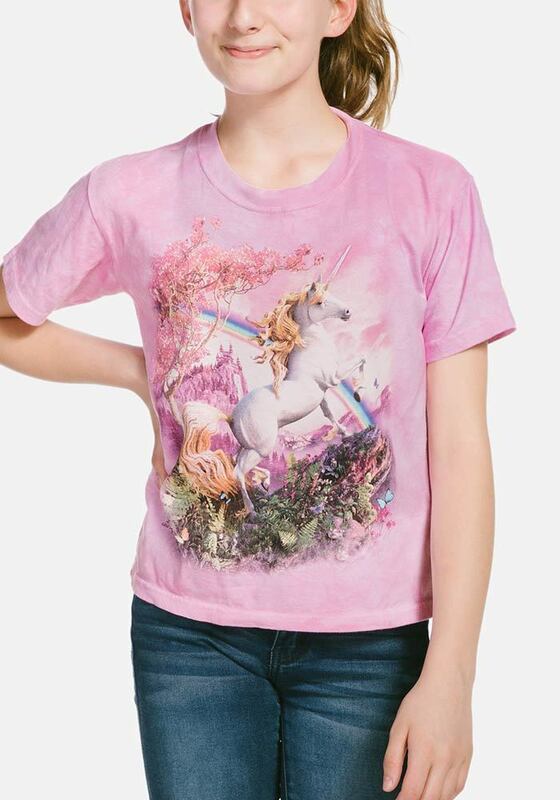 This enchanting children's unicorn t-shirt is suitable for boys and girls. 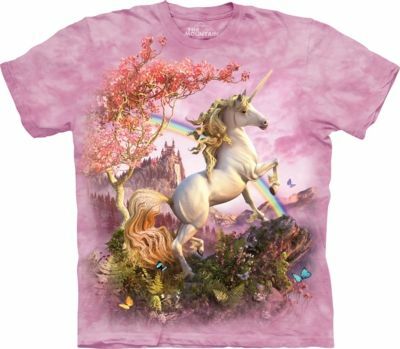 The fantasy design by David Penfound features a white unicorn standing on a cliff under a blossoming tree. In the background there is a castle and rainbow.